New Delhi: The oil ministry has declined to disclose its response to the Comptroller and Auditor General’s (CAG) damning findings on alleged irregularities in Reliance Industries’ flagging KG-D6 gas block. “The report of the CAG is under consideration of the PAC. Hence, the information sought at point no 4 cannot be disclosed under Article 8 (c) of RTI Act, 2005," the ministry said while replying to an application made under the transparency law seeking details of the action-taken report in the matter. The section bars “information, the disclosure of which would cause a breach of privilege of Parliament or the State Legislature". The reply said the ministry was preparing a detailed reply to the final report. “The final report on the Performance Audit of Hydrocarbons Production Sharing Contracts (PSCs) has been tabled in Parliament by the Comptroller and Auditor General. The report in question has been referred to the Public Accounts Committee and this ministry is preparing a detailed reply to the final report," it said in a reply to an RTI application filed by PTI. In its report, the country’s top audit body had sharply criticised Reliance Industries and the oil ministry for alleged violation of the contract for the KG-D6 gas block and called for a revamp of the current profit-sharing arrangement that reduces government revenues. Reliance has denied the allegations made by the auditor. 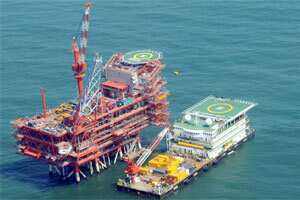 CAG has also faulted the oil ministry’s technical arm, the Directorate General of Hydrocarbons (DGH), for allowing Reliance to retain the entire area of the 7,645 sq km KG-DWN-98/3 (or KG-D6) block in the Krishna-Godavari Basin in the Bay of Bengal after the giant Dhirubhai-1 and 3 gas finds were made in 2001. The CAG report, which was tabled in the Parliament in September this year, added that the fall in gas output from KG-D6 to close to the 40 mmscmd output level envisaged in the original 2004 investment plan raised “doubts if upgradation to 80 mmscmd with substantial increase in development cost (to $8.8 billion) was justified." According to the reply, there has been no recommendation by the Prime Minister’s Office, CBI inquiry or departmental investigation into alleged irregularities related to the KG Basin.